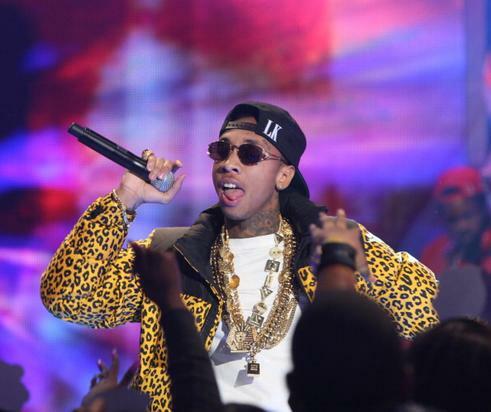 Tyga confirms longstanding rumors of a relationship with Kylie Jenner. Yesterday, on Instagram, Tyga posted a picture of Kylie Jenner with a caption that read: "Certain things catch your eye, but only few capture the heart." The romance between Tyga and Kylie has been in the rumor mill for months now, but yesterday's Instagram is the most conclusive affirmation we've gotten from the L.A. rapper. Tyga first denied dating rumors in a February Breakfast Club interview, but soon after, Tyga posted an Instagram of Kylie, calling her "One of the best/dopest person in my life." As the allegations continued, Tyga stopped denying the rumors outright, instead saying, in an interview with HOT 97, his relationship with Kylie is "nobody's business." Tyga's latest Instagram just about says it all. One thing's for sure: T-Raww's in love. Do you approve of Tyga and Kylie's relationship?